These days, "multi-hyphenates" have become such a cliché. You know, the "actor/realtor/chef/entrepreneur" labels that everyone slaps down on a business card to look impressive? Well, today's FFR interview is with a true Renaissance woman, Efva Attling, who is a real-deal model/singer/designer with the credentials to back it up. It's kind of hard to even go into her background without fangirl-ing out, so read the first question below to get Efva's own take on her high-profile career. Besides being superfamous in Sweden for both her ridiculous good looks and her tremendous talent, over the last two decades she has conquered the U.S. with her take on sculptural, fluid, fine jewelry designs that are often based on her own lyrics. We'd basically buy anything this woman is selling, including her first signature scent, which promises: "You'll be noticed when you walk into the room and you'll be missed when you've left." We're so smitten that we believe it. Efva debuted her new Barcelona collection at COUTURE this year and we're hot for this Art Deco-inspired gold cuff. Kaboom earrings in 18k white gold with princess and brilliant cut diamonds in various sizes, $8,500, available at Efva Attling. Double Day Pearl & Stars ring in 18k gold, $2,710, available at Efva Attling. Shape of a Dream & Stars earrings in 18k yellow gold with diamonds, $6,285, available at Efva Attling. The brand's signature cuff bracelet in 18k gold. So chic. $5,970, available at Efva Attling. You & Me ring in 18k gold and diamonds, $1,710, available at Efva Attling. In her workshop and still looking like a supermodel. Efva's first signature perfume, Amor Vincit Omnia. If you do only one thing today, it's better be watching this vintage video of X Models (with Efva on lead vocals) performing their huge Swedish hit "Två Av Oss" (Two of Us). It is epic and is now currently on repeat at all FFR offices. Tell us about your inspiration for the current collection. Was it designed with COUTURE in mind? I don’t think in terms of pleasing that way! I design what comes up in head – I only have to love it myself. Part of the collection I showed was called Barcelona, which was inspired by an elevator door from the ‘20s in Barcelona. I always liked Elsa Peretti because of her shapes. She's been one of the best jewelry designers! Ha ha, diamonds, of course. I only wear my own jewelry but sometimes I do buy some antique pieces. My wedding ring. I made it when I came back to make jewelry in ‘96. It's not round and perfect but it's LOVE! People said that you shouldn't make your own wedding rings. I'm not superstitious and I've had a happy marriage for 20 years. Stockholm has so much to offer. I suggest you go to the south part of the city if you're young and to the city if you're more mature! The Cordier bar at the Grand Hotel for more sophisticated style and Barbro under the bridge at Hornstull for a cooler crowd. My Car service on the Lower East Side when I'm at my apartment in NY or I'll take the bus to watch people and for inspiration. Instagram, sometimes Twitter, never had any interest in Facebook. 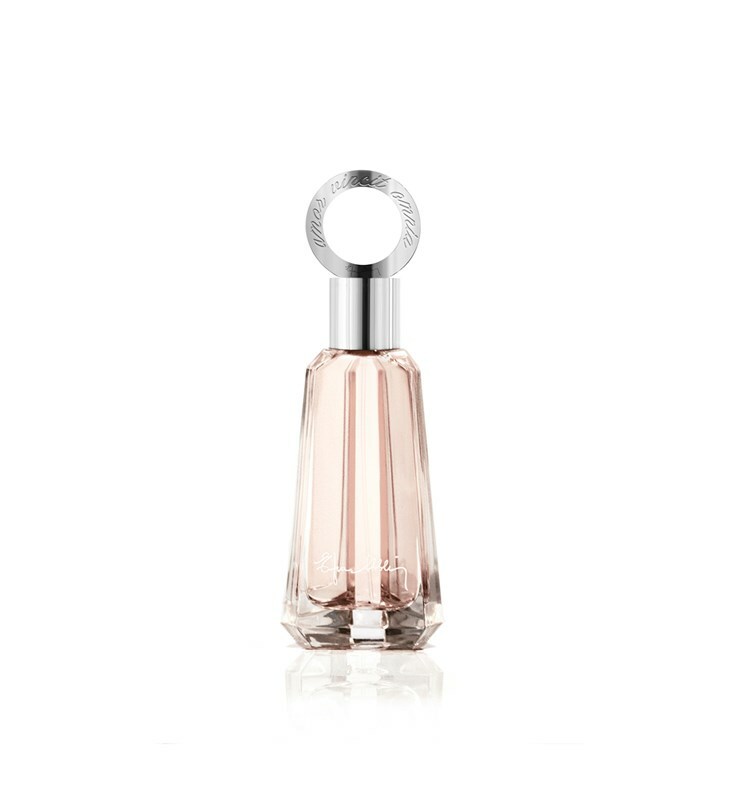 My first perfume – Amor Vincit Omnia – it's a true scent of a warm loving woman! Maybe a psychologist. There is nothing more exciting then the Human being. Here in my house in Italy. Thats when I come up with new ideas. Now I'm making plans for my new Bridal collection. Actually, my Vince sandals or my Gladiator sandals from H&M and Manolos for heels. I love Acne so I got to their flagship store in Stockholm or to NK, our Barneys – you'll find everything there.